WPP has faced down an investor revolt over its handling of the departure of former CEO Martin Sorrell, whose messy exit from the company he founded is under intense scrutiny. Anger has mounted following Sorrell's resignation after three decades as CEO in circumstances that remain unexplained. Sorrell walked away on good terms and with share options that could be worth millions of pounds. Nearly 30% of the votes cast at WPP's annual shareholder meeting on Wednesday went against the board's report on executive pay. Glass Lewis, an investor advisory firm, had recommended that shareholders vote against the company's remuneration report at WPP's (WPP) annual general meeting in London. "Glass Lewis has severe reservations about supporting the remuneration report at this time," it said in its advisory notice, noting the "lack of transparency" surrounding the resignation of Sorrell. Glass Lewis also recommended shareholders vote against the reelection of WPP chairman Roberto Quarta. He was reelected but 15% of shareholders registered their opposition. Sorrell, who has been paid more than £200 million ($267 million) over the past five years, stands to benefit from shares awarded under a long term incentive plan over the next five years. WPP announced in April that its board had hired an independent counsel to investigate alleged misconduct by Sorrell. The Wall Street Journal said the probe focused on whether Sorrell had "misused company assets." The advertising agency said the allegations did not involve amounts of money that were material to its business, but gave no further details. Sorrell "unreservedly" denied any inappropriate action. Nearly two weeks later, on a Saturday, Sorrell announced his resignation in a letter to employees. Speculation over the details of the investigation swirled in the wake of the chief executive's sudden departure. 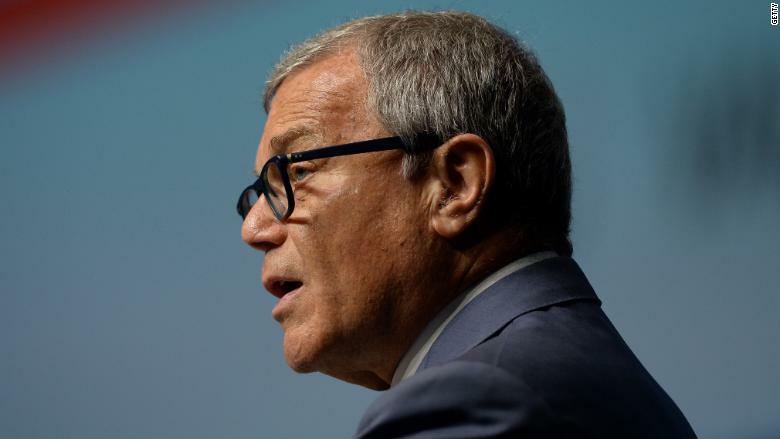 WPP said that "certain aspects" of the inquiry were shared with Sorrell's advisers prior to his resignation, but the report's findings were never publicly disclosed. The Wall Street Journal reported last week that the investigation focused on whether Sorrell had used company money for a prostitute. Sorrell denied the allegations in a statement issued by a spokesperson. Related: Can the king of advertising make a rapid comeback? "Sir Martin signed a non-disclosure agreement when he stepped down which precludes him from discussing any of the circumstances surrounding his departure. He has rigidly adhered to this obligation and will continue to do so," the spokesperson said. "As regards the allegations which have appeared in the Wall Street Journal, Sir Martin strenuously denies them. He will be making no further comment at this time," he added. WPP said it was not able to comment on the allegations. "WPP has been advised that it cannot disclose details of the allegations against Sir Martin Sorrell because it is prohibited by data protection law from giving such details," the company said in a statement. "Sir Martin resigned after the conclusion of the investigation by independent legal counsel."